There are times when you feel the need to download a video from an online streaming site for later use. Not all the streaming websites allow downloading of videos. YouTube is one among them. If you ever feel the need to download a video from YouTube, you will have to seek help from a third-party software because there is no direct way to download a video from YouTube. For example, if you need a video for a presentation in the office, you will need to download the video on your laptop so that you can play it easily during the session. There are multiple tools and software to download a video from YouTube. You can download a software, you can use an app on your smartphone, or you can use a browser extension. Browser extensions are easier to use as compared to software and apps. 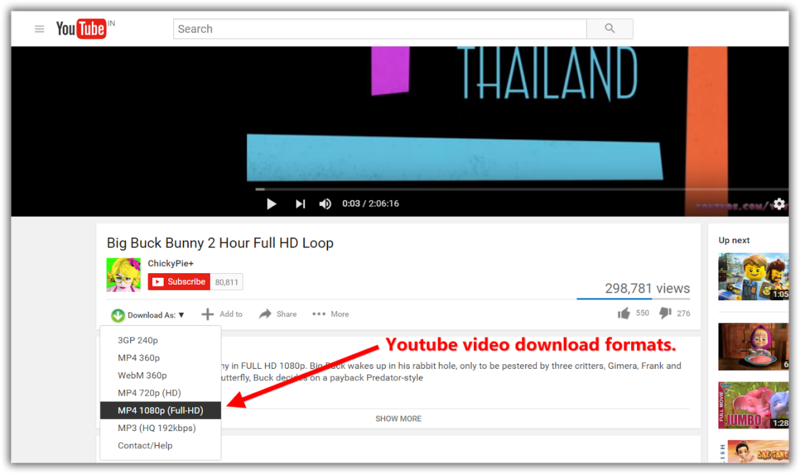 One of the easiest and the most used browser extension for downloading unlimited YouTube videos is Easy YouTube Video Downloader. It is a small browser extension that works with multiple browsers including Chrome, Firefox, and Opera. It is a cross-platform and cross-browser YouTube video downloader which means it works on multiple operating systems including Windows, Mac, and Linux and it works with all the leading web browsers. Following is a list of some of the major features of this awesome YouTube video downloader. Cross-Platform: It works on all the leading platforms including Windows, Mac, and Linux. You can download and use it on all types of machines. Cross-Browser: This is probably the only YouTube video downloader that works smoothly with multiple browsers. Opera, Firefox and Google Chrome are the three web browsers with which this downloader works smoothly. Easy-to-Use: Perhaps the best thing about Easy YouTube Video Downloader is its ease of use. You can download videos from YouTube with a single click. Just click on the download button, select the format and quality, and that’s all. It is, in fact, not just easy to use but downloading and installing it is a piece of cake. It hardly takes a minute to download and install it on your browser. 1080p HD Videos: This is the only YouTube video downloader available in the market that allows you to download videos in HD quality with 1080p. This is such an amazing feature that will make your life easy. Imagine you have to play a video during a meeting in your office, you will never want to play a video with poor quality, right? Instant Download: It allows you to download audio files with decent quality. You can download high-quality MP3 audio files (192kbps) from YouTube. Next Post:How WordPress Website can do Wonders for your Business?